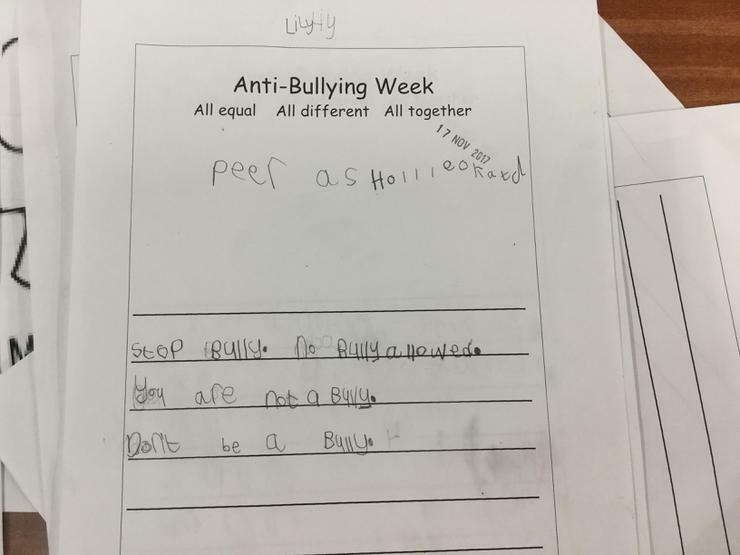 All equal, all different, all together! 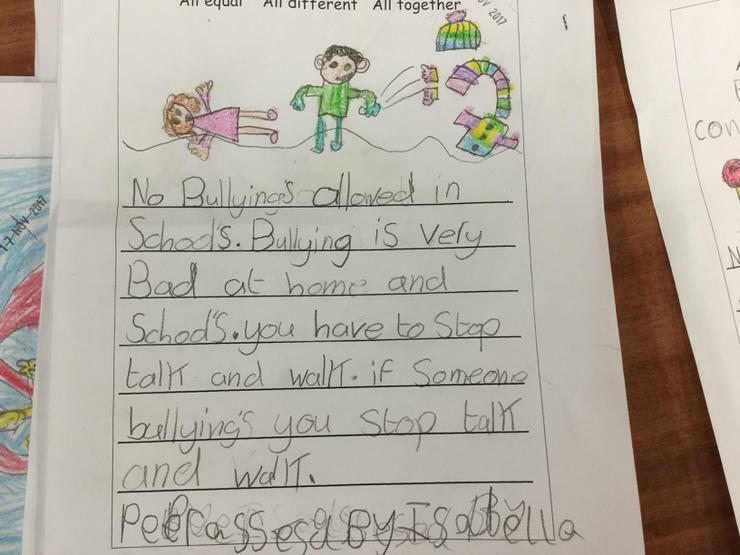 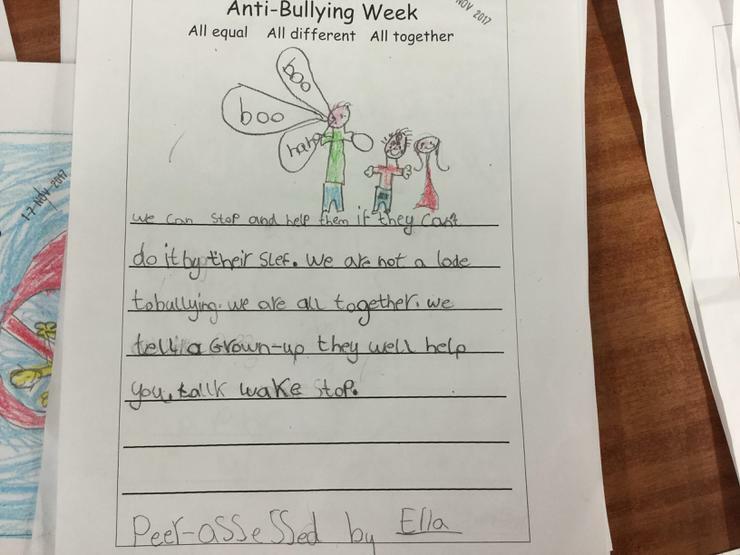 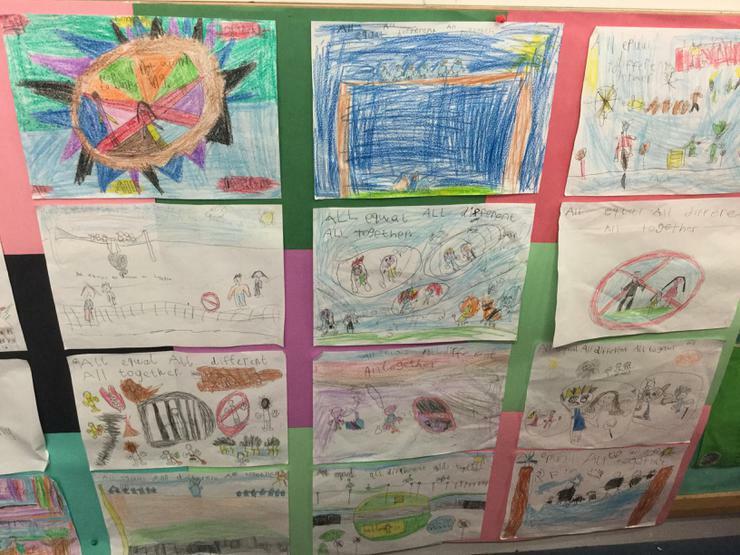 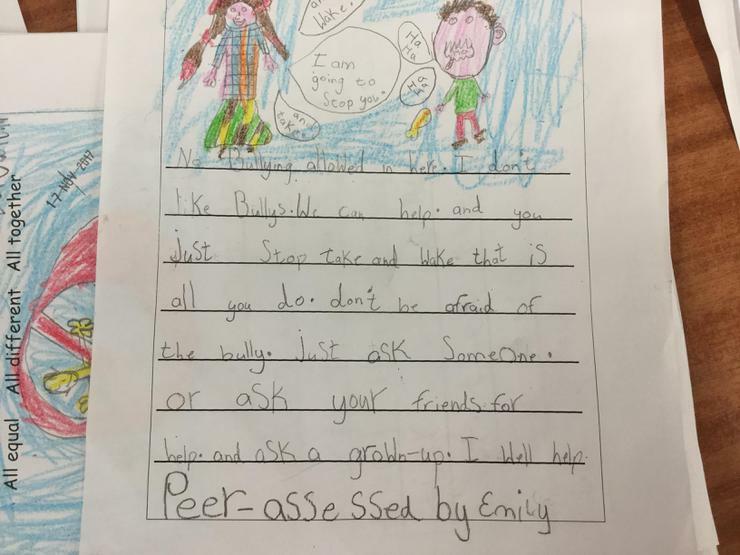 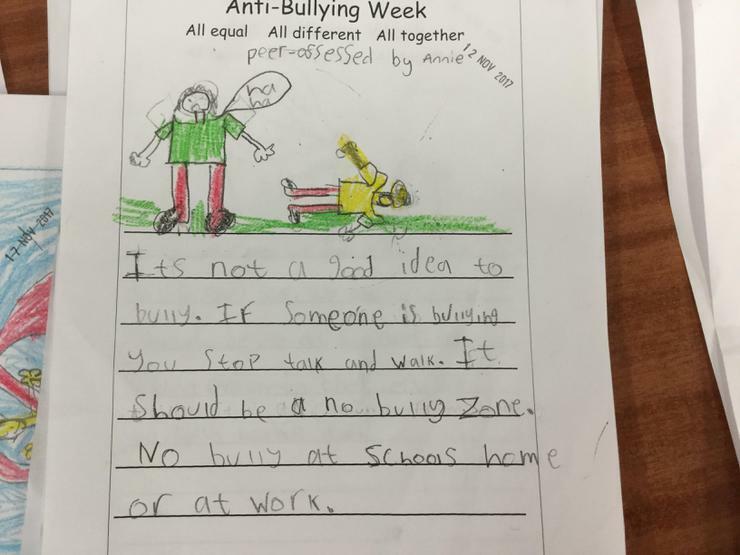 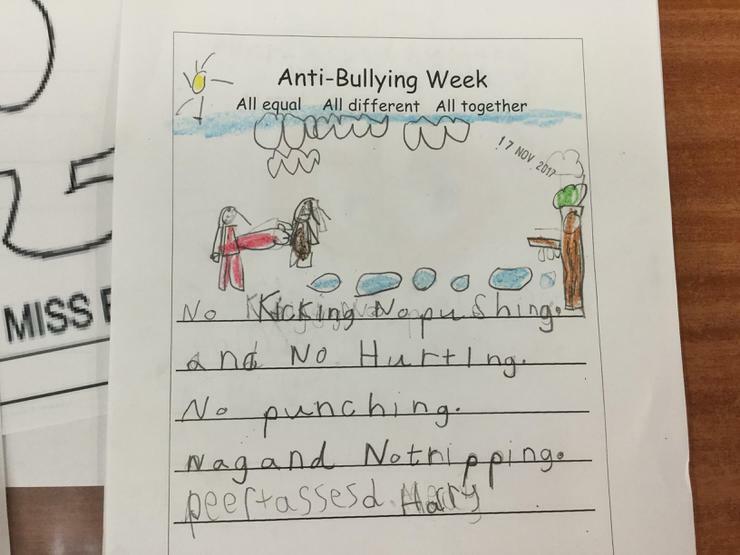 We all work hard in Holy Cross to be sure that our school is and remains an Anti-Bullying school! 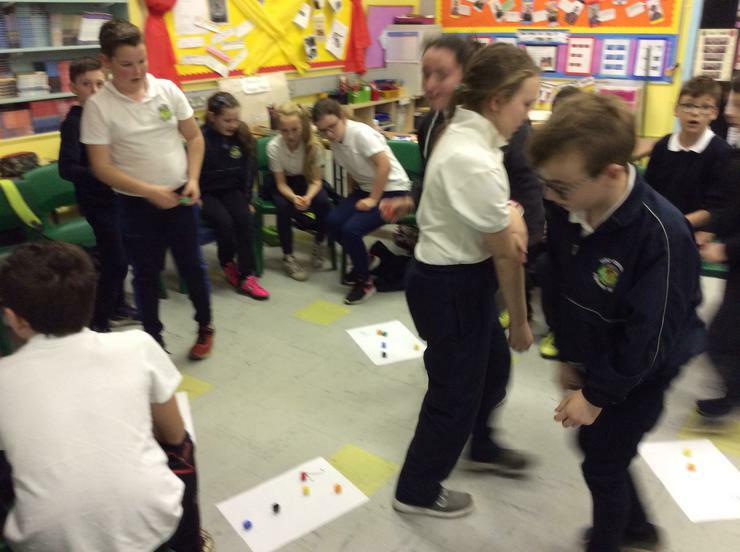 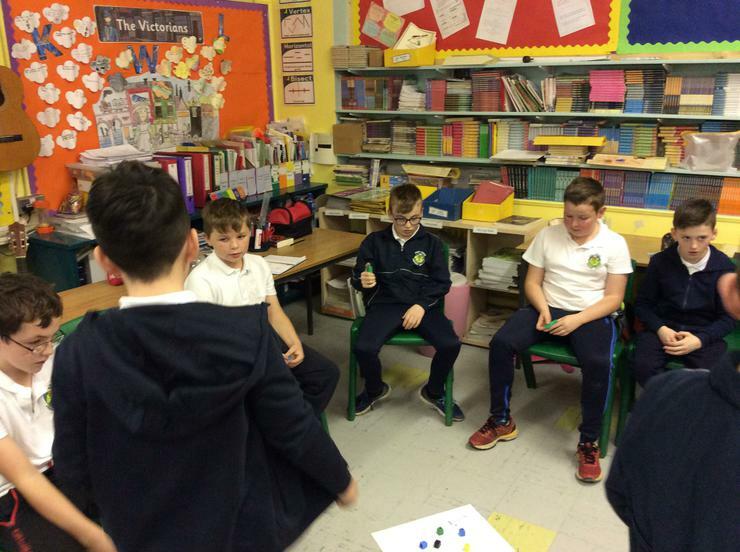 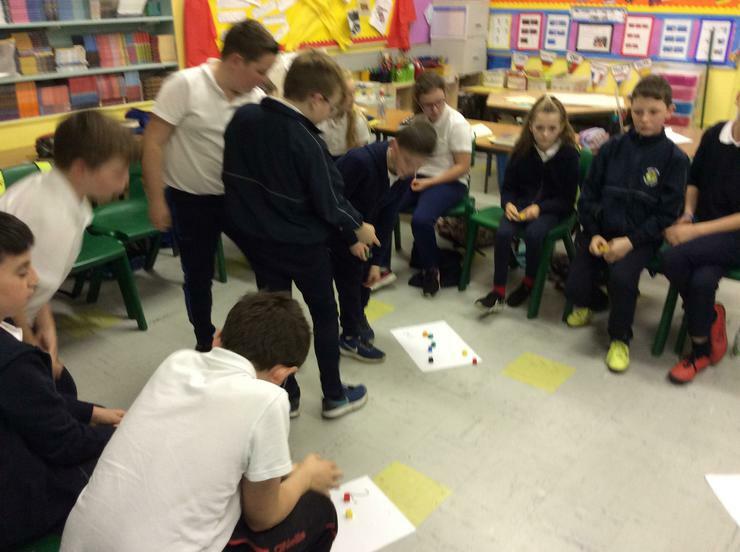 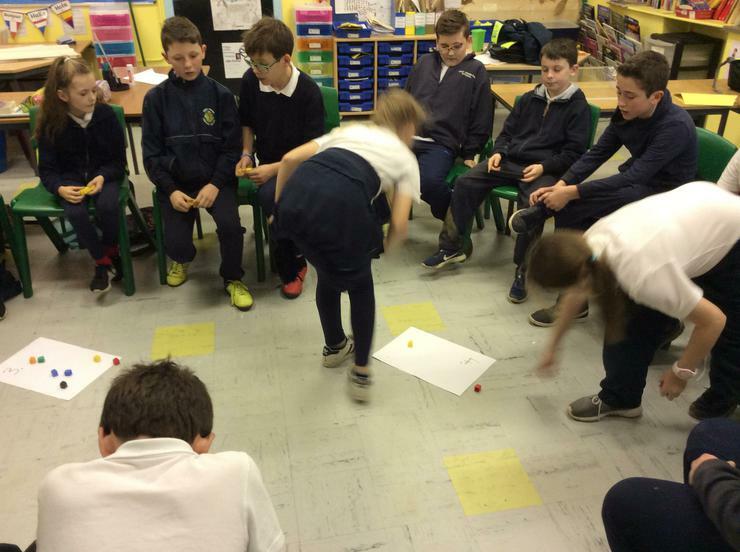 In Primary 7, we worked in groups to discuss the correct choices to make when faced with a bullying scenario. 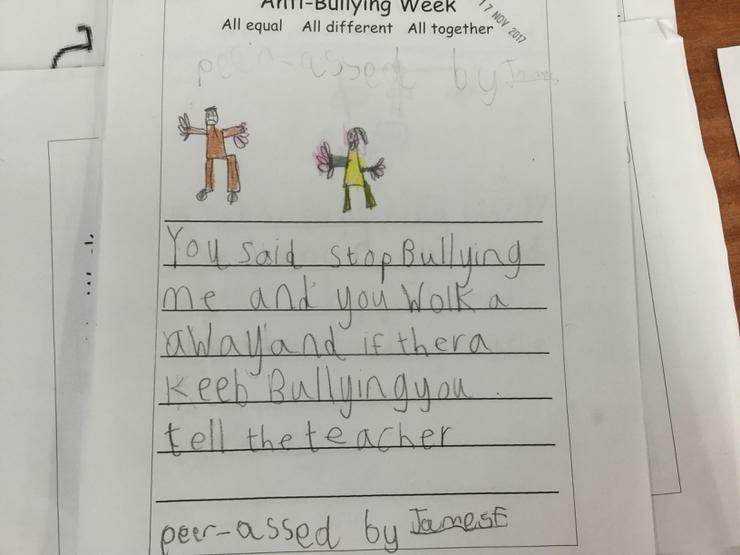 This helped us to understand better the action we should take if faced with a bullying situation. 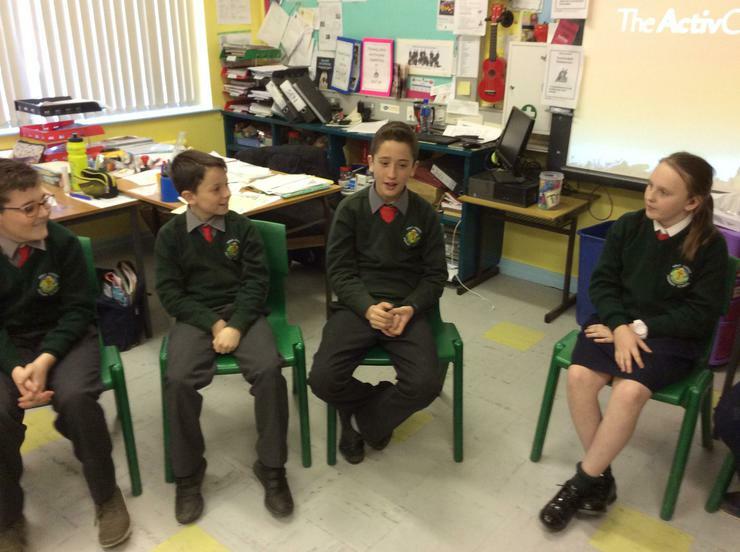 We also discussed the different types of bullying e.g. 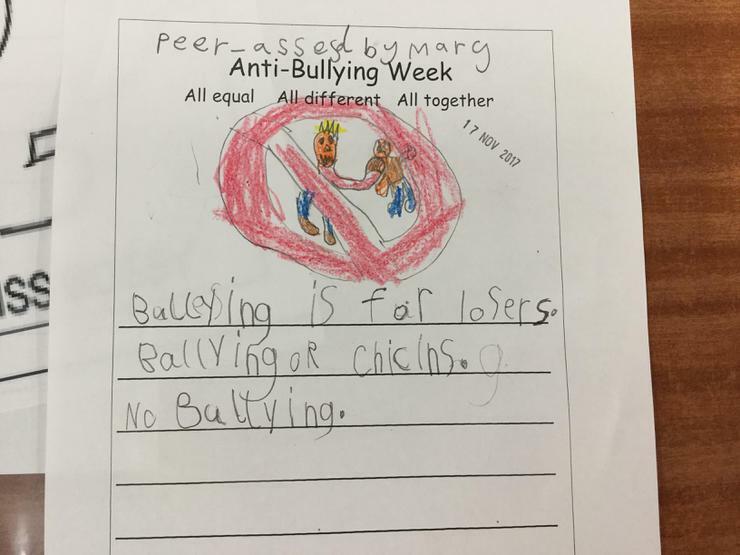 discriminatory, cyber, indirect, verbal and physical. 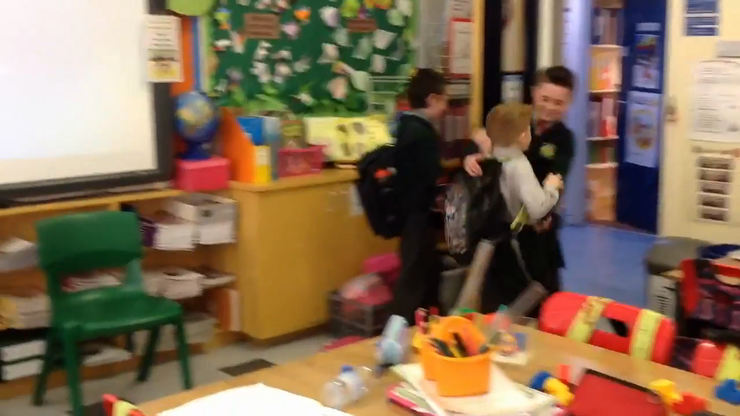 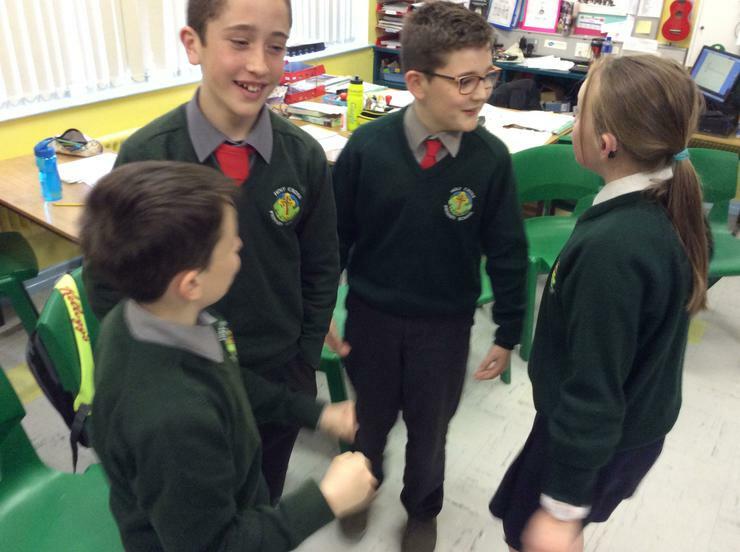 We acted out different bullying scenarios covering all the types of bullying we had learnt about, and more importantly we included resolutions. 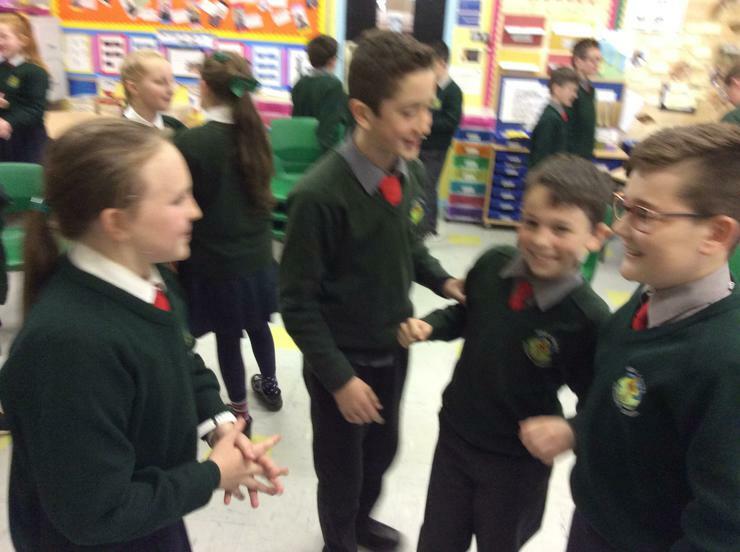 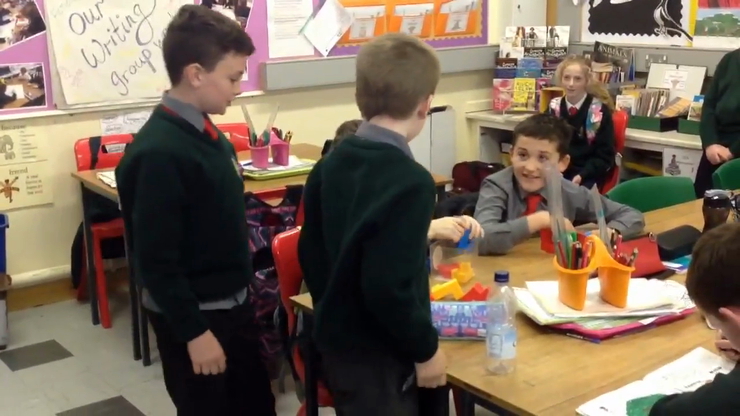 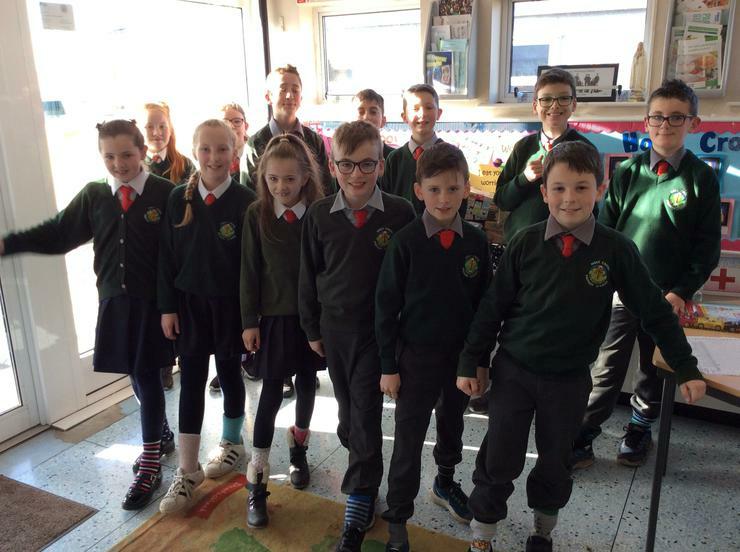 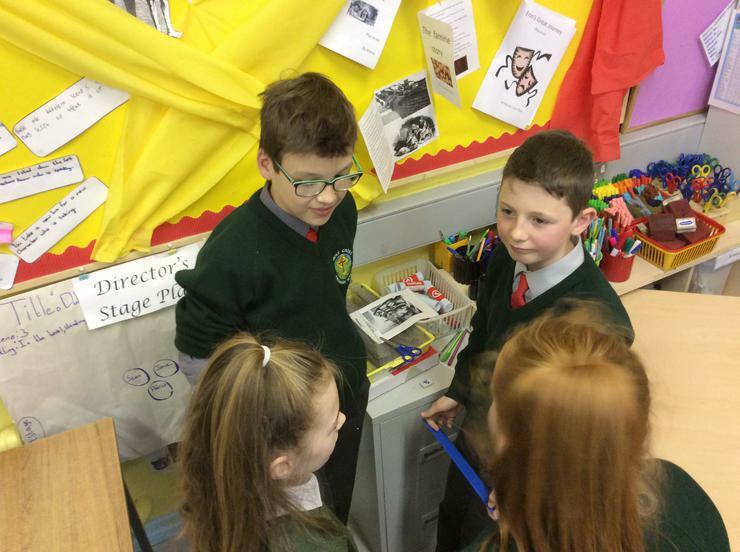 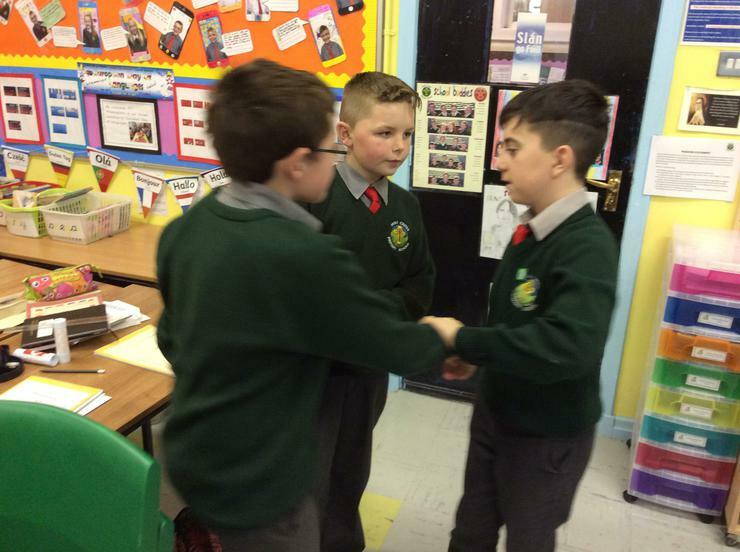 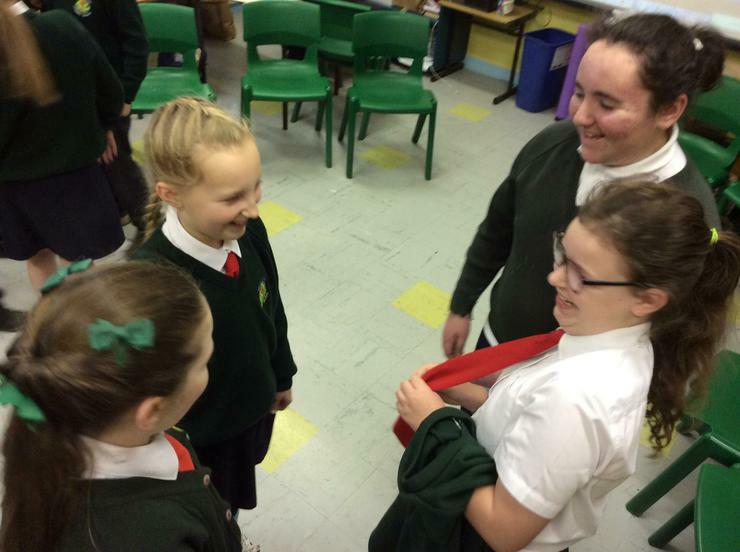 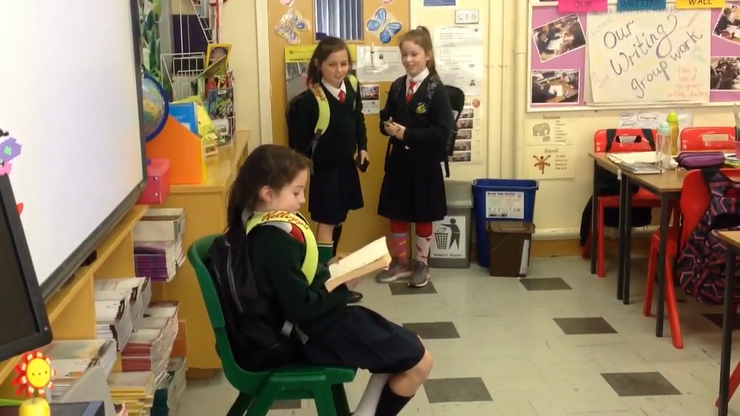 Primary six, after discussing the school's anti-bullying policy, got into groups to write and perform an anti-bullying drama. 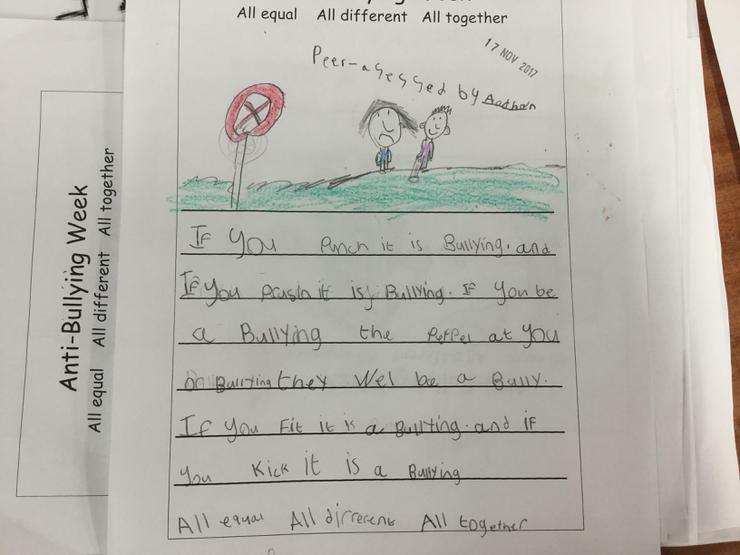 The aim was that the viewer would see that it is wrong and how to get a resolution. 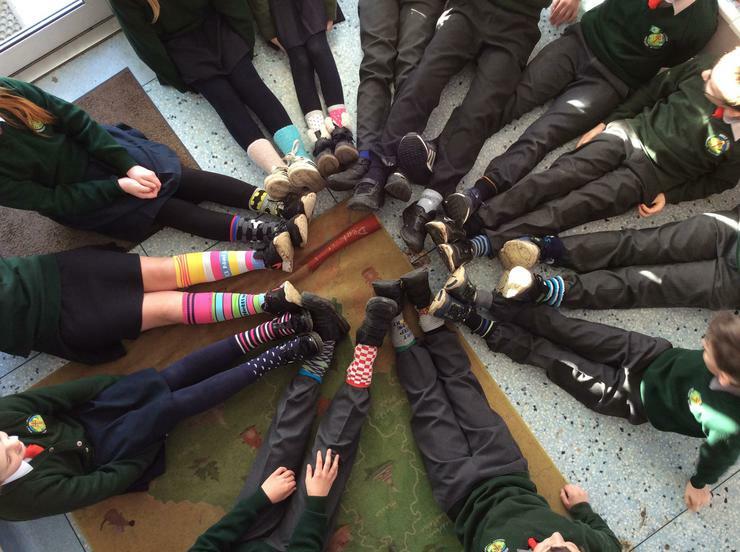 As part of Anti-Bullying Week we took part in "Odd Sock Day." 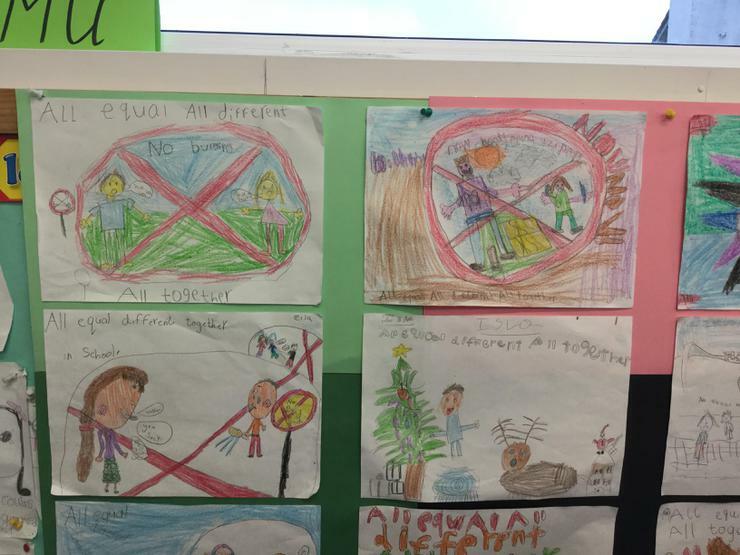 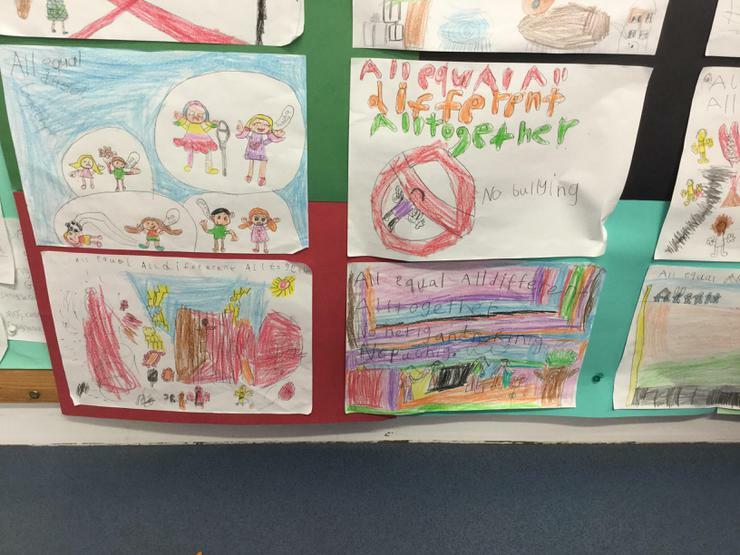 P.4 and P.5 created "Pebble People" ...."All Equal, All Different, All Together!" 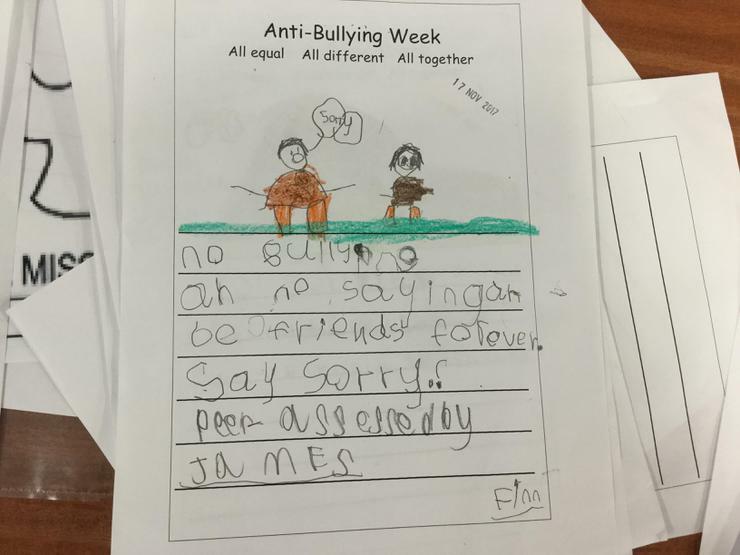 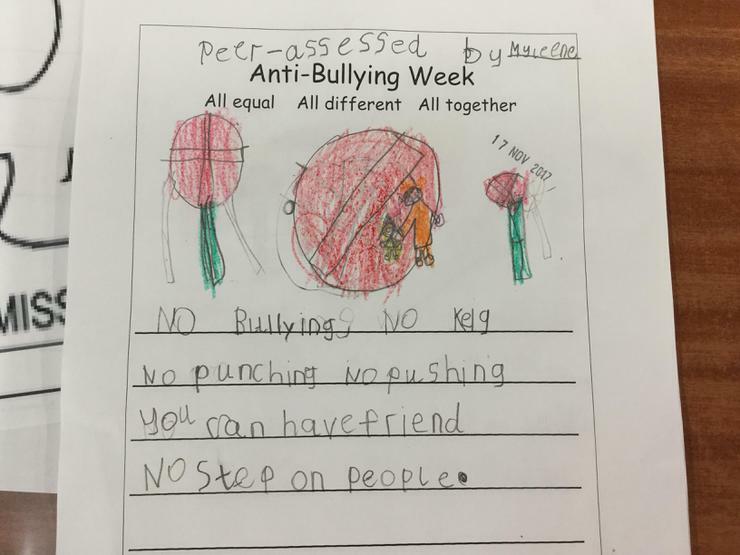 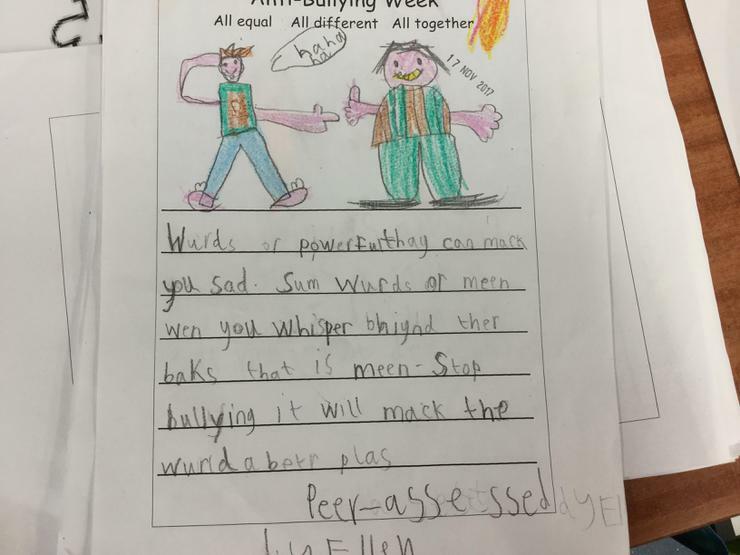 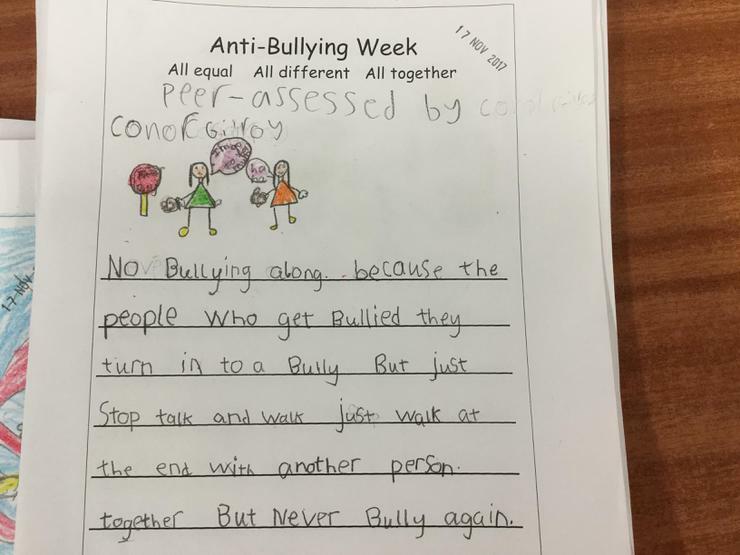 We took the opportunity during Anti-bullying Week to create posters and write independently about our feelings on the subject.